You’ve probably figured it out by now, but I am a pretty big fan of cheese. I love most types, but we tend to stick to the basics at my house. We buy cheddar cheese in three pound blocks, and all my kids except for my oldest have inherited my love of cheese. It’s a staple at our house! Grilled cheese sandwiches are always a hit, but these garlic bread grilled cheese sandwiches are absolutely epic! My daughter loved them so much that she requested them for lunch two days in a row. They are seriously delicious. 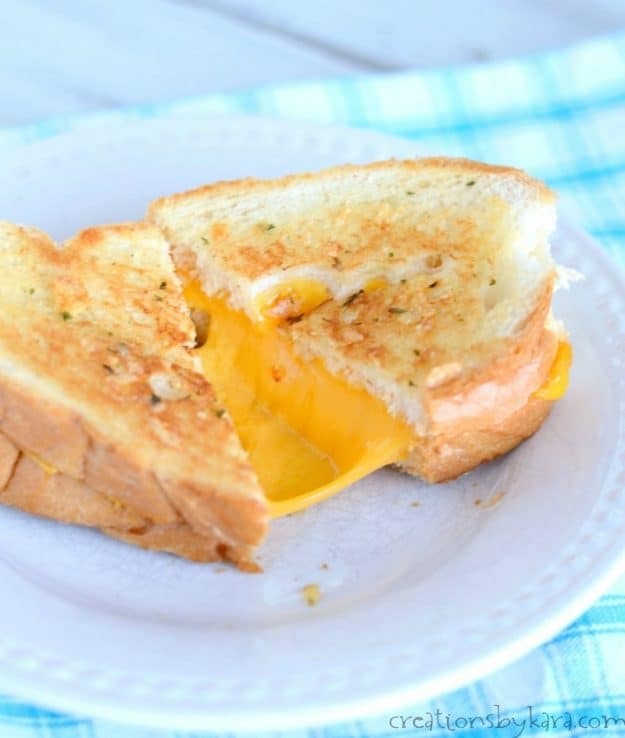 It is so simple to make these updated grilled cheese sandwiches. Just stir together butter, garlic powder, salt, and parmesan cheese. 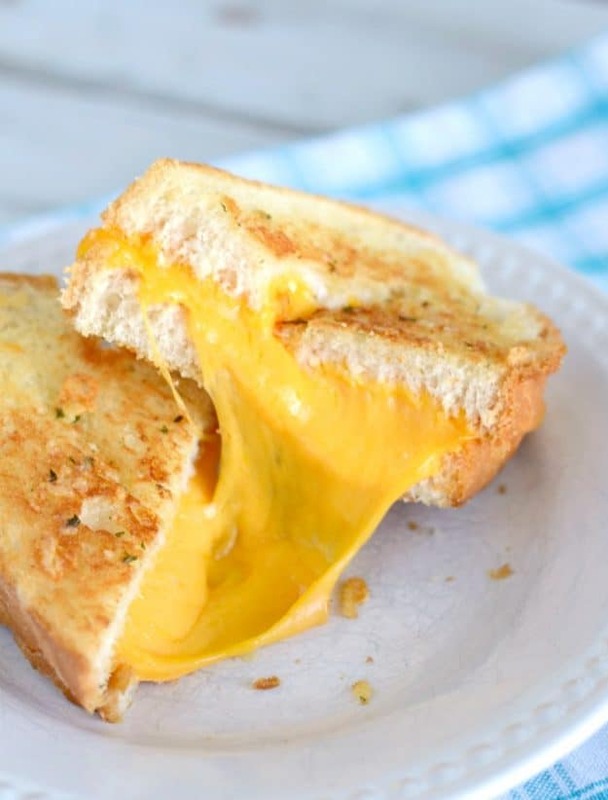 Then spread it on the bread and cook like you would a regular grilled cheese sandwich. 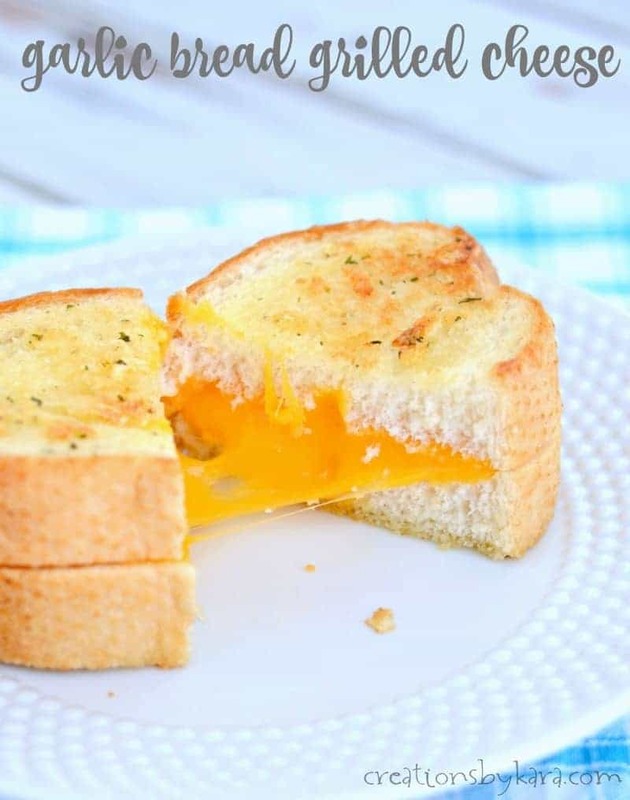 The extra pop of flavor you get by using garlic bread makes these sandwiches absolutely delicious. After trying garlic bread grilled cheese, I don’t know if I can ever make regular grilled cheese again. 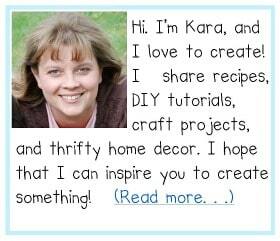 I hope you’ll give them a try! Grilled cheese sandwiches made with garlic bread. Stir together butter, garlic powder, parsley flakes, Parmesan cheese, and salt in a small bowl. 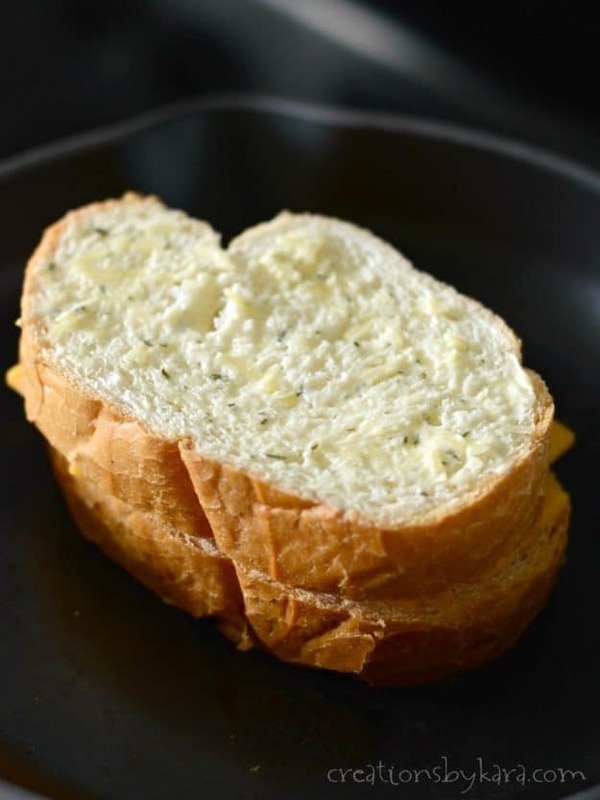 Spread the garlic butter mixture on one side of each slice of bread. Heat a nonstick skillet over medium heat and place half the bread, buttered side down, into the skillet. Top with cheese and remaining slices of bread. Cook, flipping halfway through, until bread is golden brown, parmesan cheese is crispy, and inside cheese is melted. Tip: I like to cover my skillet with a lid so the inside cheese melts faster. Did you know that today is National Cheese Day? That makes my little cheese loving heart so happy! 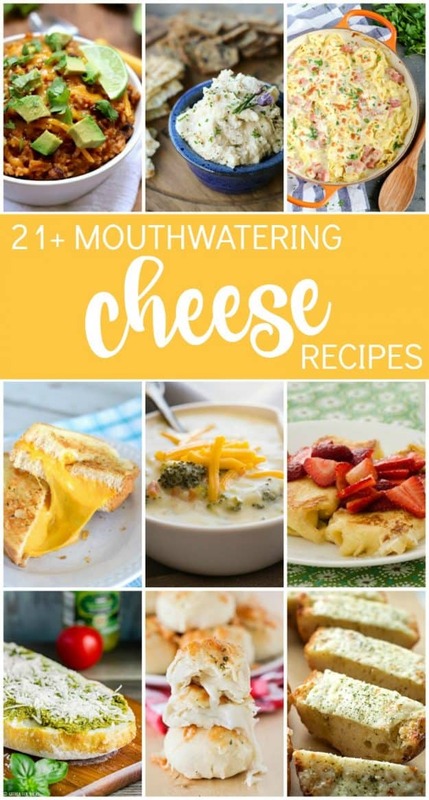 I’m teaming up with other food bloggers to bring you nine fantastic new recipes featuring cheese. Oh my. I hope they look as irresistible to you as they do to me. Enjoy!